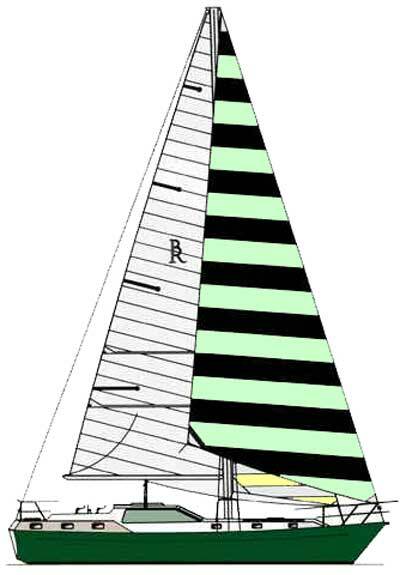 This design was drawn to replace the earlier Mauritius 43 and Norfolk 43 boat plans. These earlier designs were first drawn in 1969 and have been some of our most popular designs with over 2,000 examples currently in service throughout the world. 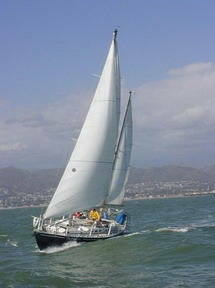 There are now over 500 of the latest version Roberts 432 either already in service or being completed world wide. L.O.D. 13.40 m 43' 11"
L.W.L. 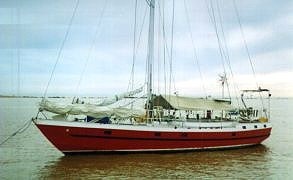 11.6 m 38' 0"
DRAFT 1.60 m 5' 3"
FROM - Mature customer - moving from sail to one of our Trawler Yachts. 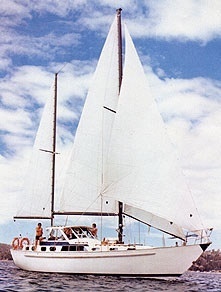 Its interesting to see that the photo you are using for the pilot house version is an original photo of a boat named "Mellisylou", shown in the early publiCATAMARANion of "Build for Less", built for a guy in Sydney in the mid 70's. 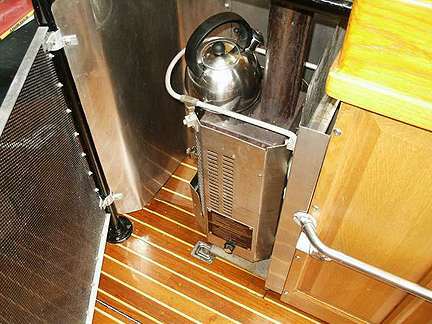 This Pilot House R432 can be rigged as a cutter, sloop or ketch as well as a variety of other sail boat plans. have all this information in considerable detail. 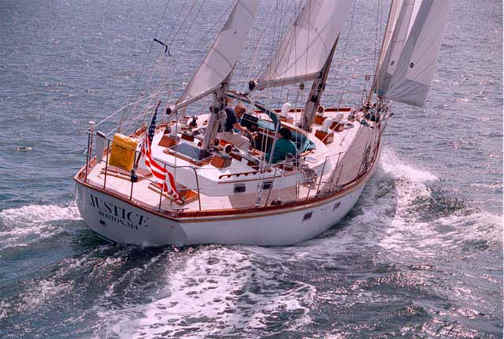 Dear Bruce, We launched our Roberts 432 steel cutter in the summer and are very happy with her performance. She feels very solid, even in a blow, and is pretty forgiving with the couple of novices we are. 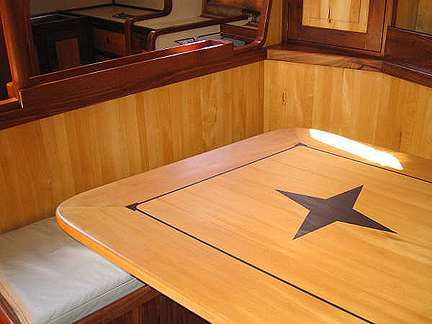 She doesn't heal much which is great because we have a main of 12 ounce cloth which will take a real beating. 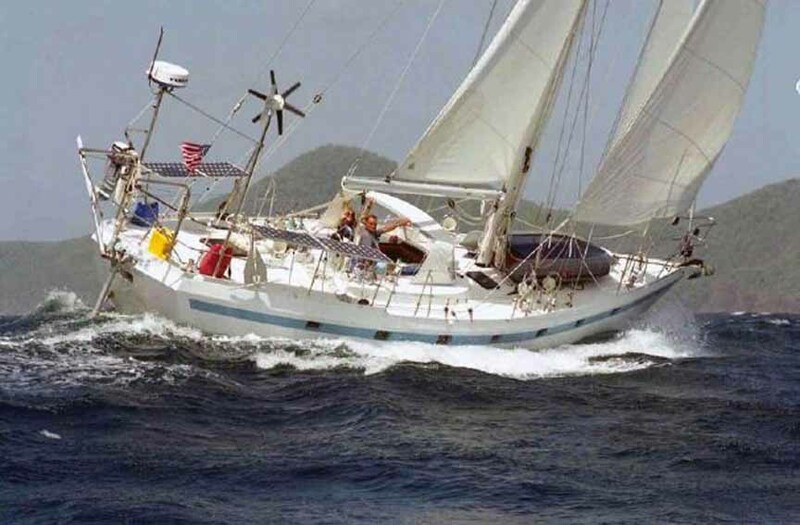 We were impressed with the speed down wind, 8kts in 20 kts wind, awesome! 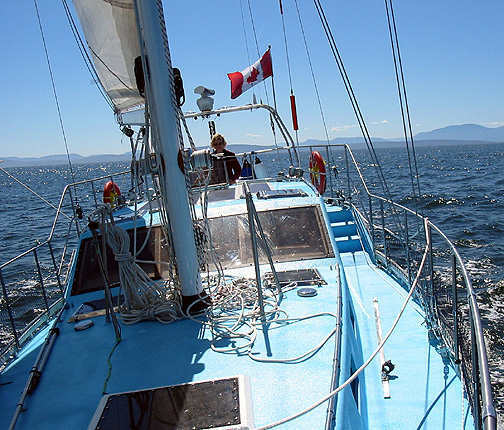 She is sitting in Vancouver BC waiting for spring when we'll depart on a journey around the world! 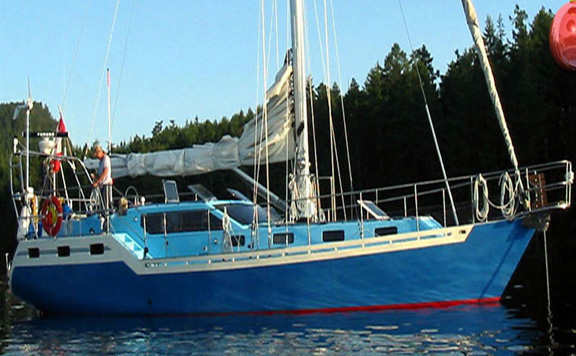 Thank you for such an excellent design, can't wait to hit "the big blue" ! Best wishes for a prosperous upcoming year. Building has been such a great experience for us both, now let the fun begin! 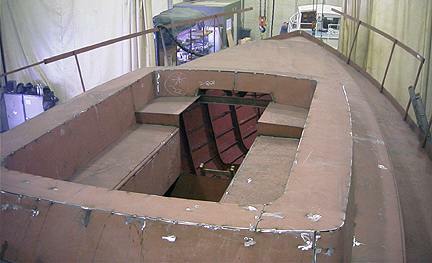 Here we see the popular and well proven long keel hull that is a feature of this design. 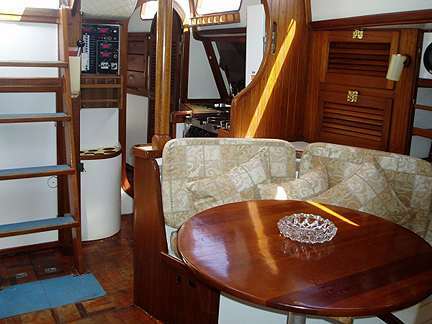 The accommodation plan can be varied to suit your requirements - other version are shown in the Study boat plans on DOWNLOAD package. 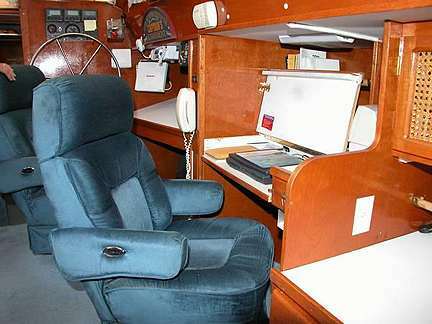 Comfortable pilot and navigation seating is built in to this Roberts 432.